Real Housewives of Miami personality who is heavily involved in the world of beauty as she has developed more than 400 products. She launched Lea Black Beauty and is the founder of The Blacks' Annual Gala. 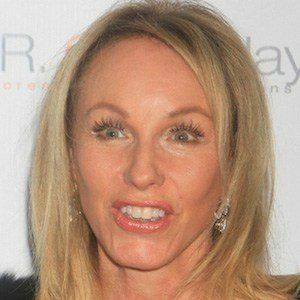 She became involved in the beauty industry in the 1980s when she launched Sudden Youth Facial. She is a former dancer and a trained vocalist. She authored the book Red Carpets & White Lies and wrote a novel called Little Black Book. Her birth name is Lisa Lea Haller. She married defense attorney Roy Black with whom she has a son named RJ. Her son is a friend of fellow Real Housewife of Miami Adriana De Moura's son.